New York : Scientists have now developed a new $2 test that has been found in the lab to accurately detect low levels of the virus in saliva. 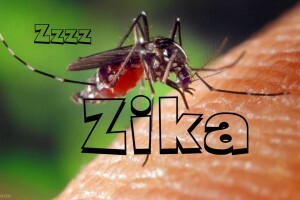 The World Health Organization (WHO) recently announced that there was no need to postpone or move the Olympics from Brazil due to Zika’s presence, but concern over the virus’ spread and its link to serious birth defects is far from allayed. Public health experts debate whether WHO made the right call. But while the discussion continues, scientists are working on new tools to help manage the outbreak. Current gold-standard tests to detect the virus require expensive lab equipment and trained personnel. Changchun Liu from University of Pennsylvania and colleagues wanted to design a rapid, low-cost, and more reliable point-of-care detection test. To ensure their system would be highly selective for Zika without confusing it with similar viruses, the researchers looked for and found a stretch of genetic code that is nearly identical for 19 different strains of the Zika virus infecting people in the Americas but not in other pathogens. Then, with materials costing $2 per test, they developed a diagnostic system, which only requires the addition of water to operate. If the Zika-specific genetic sequence is in a saliva sample, a dye within the system will turn blue within 40 minutes, the researchers reported in Analytical Chemistry, journal of the American Chemical society. The test even works if low levels of the sequence are present, the study said.